Updates to Melinda's profile since your last visit are highlighted in yellow. Wife, Mom, Mayor of Crazyville. Crissy, born 1989; Jordan, born 1995; Shyanna, born 1999. 3 dogs, 2 cats 2 guinea pigs. I attended three different colleges, three majors, zero degree in the end (my way to see the country and meet new people). Moved to Chicago area in 1980. Got married in 1987. Worked as an Executive Secretary from 1980-1989 (back when there actually was such a thing). Stayed at home to raise my kids. I now work as a volunteer with homeless pets and people. I also monitor the constant stream of teenagers coming and going through our revolving door. I made some great friends, some I am still in contact with today. I wish I knew then what I know now...that everyone has their own insecurities and no one "has it all together". I wish I had been more outgoing and less shy and afraid of people. I broke out of my shell in college and, as a result, was much happier . I also wish I (we) had been kinder and friendlier to the "underdogs". Melinda Larson Subora added a comment on Profile. Melinda Larson Subora has a birthday today. 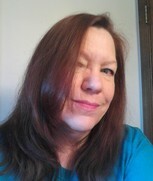 Melinda Larson Subora updated profile. View. Melinda Larson Subora posted a message. New comment added. Great pic! I can imagine you as an RN. I remember you as being sweet and caring. Melinda Larson Subora changed "Now" picture. Melinda Larson Subora added a photo to profile gallery. Melinda Larson Subora posted a message. You haven't changed a bit! Not fair! Hi ol' friend! I would love to catch up with you. Remember sweet, old BC? I'm still in touch with Karle. Hope all is well with you! 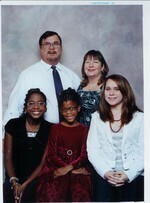 Melinda Larson Subora added a comment on Profile. New comment added. Melinda Larson Subora posted a message on Joanna Heywood's Profile. New comment added. I live about 5 miles from Aurora, IL. Small world! I figured you'd end up in P.E. I remember all the skiing your family did!